Xiaomi Mi A2 Red Edition is now officially launched in the Indian market. Priced at Rs 16,999, the Mi A2 Red Edition will be available for purchase on Mi Store (mi.com) and Amazon India starting at 12 PM on September 20. With this new addition, the Mi A2 will be available in four colour options- Black, Gold, Blue and Red. Xiaomi recently launched the Red Edition of Redmi Note 5 Pro in India as a limited edition variant. 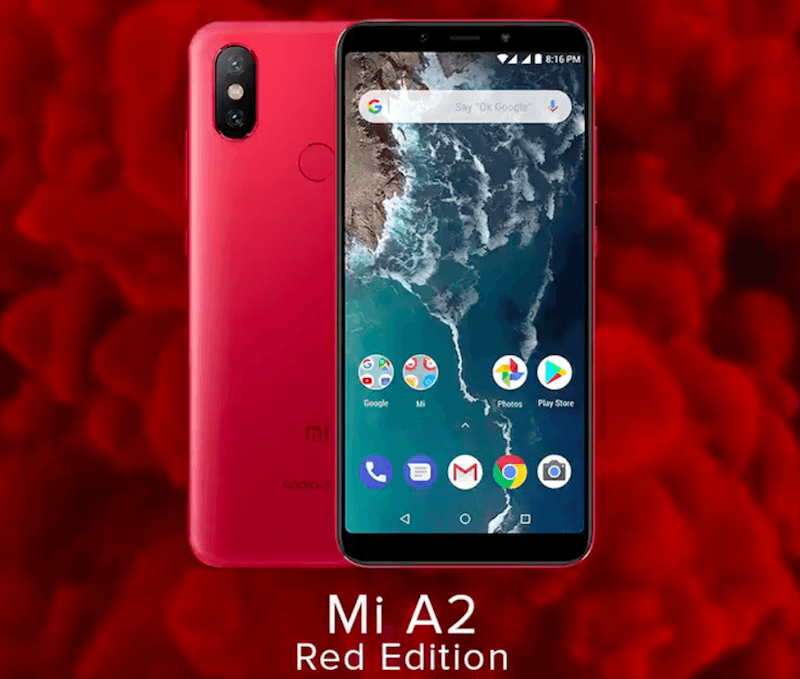 Xiaomi did not reveal how many quantities it will be selling the Red Edition Mi A2, but certainly, it will be a limited edition model as well. So if you’re looking for an excellent looking smartphone under Rs 20,000, then the Mi A2 Red Edition should be your de-facto option. Xiaomi has kept the pricing of Red Edition Mi A2 at Rs 16,999, same as the other colour variants. Even Xiaomi launched a Red coloured variant of Redmi Note 5 Pro at Rs 14,999, which is a similar price as the other colour options. Talking about the availability, the Mi A2 Red Edition can be picked up only on Amazon India and Mi Store (mi.com) from September 20 at 12 PM. While Xiaomi has already started selling the Mi A2 in offline stores, the Red Edition will not be available across retail store anytime soon. Xiaomi didn’t bring the Red Edition Redmi Note 5 Pro to offline stores. Except for the new paint job, the Mi A2 Red Edition features similar specifications as the original Mi A2. The phone sports a 5.99-inch Full HD+ display on the front with 18:9 aspect ratio. Internally, it has the Qualcomm Snapdragon 660 chipset, which we saw on other smartphones such as the Nokia 7 Plus and Vivo V11 Pro. The Mi A2, at the moment, is available in a single 4GB/64GB storage variant, but Xiaomi has already confirmed that it will be launching 6GB/128GB storage version of the Mi A2 in India very soon. Notably, the Mi A2 Red Edition may not be available in the upcoming 6GB/128GB memory configuration. The Mi A2 is the best camera smartphone under the Rs 20,000 price point. Xiaomi has added a primary 12MP shooter on the rear which comes paired with a 20MP secondary sensor that helps in low-light shots and adding bokeh effect to the images. Frontal, the Mi A2 has a 20MP selfie camera with various AI modes. Being part of the Android One program, the Mi A2 is currently running a stock version of Android 8.1 Oreo, and it’s expected to receive Android 9 Pie update by the end of this year. Lastly, the phone is backed by a 3010mAh battery, and it lacks the 3.5mm headphone jack. The phone has support for Qualcomm Quick Charge 4+ in India, but you have to purchase the charger separately as Xiaomi is not bundling any fast charger inside the retail box.